When it comes to car loans after bankruptcy, there is hope. 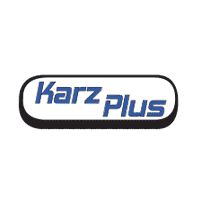 At Karz Plus, we have extensive experience helping people just like you get a loan on the vehicle that you need. Whether you are in the market for a car, truck, or SUV, we can help you get into a vehicle that will not only meet your needs, but help you get your credit back on track afterwards. At Karz Plus, we are on your side and here when you need us. Simply take a look at our current selection online, or stop by to see the vehicles that we have to offer and get pre-approved for the credit you need to bring one home. It is as simple as that when you shop with us. There are plenty of people out there that wish they could get a new vehicle but think that they wouldn’t be able to get the credit that they need to accomplish that goal. At Karz Plus, we know that life happens, and sometimes bankruptcy is the result. Whether you went through a divorce, loss of income, or other obstacle, we can help you get your life and your credit back on track with a vehicle that you can depend to get you and your family where they need to go. While we can’t promise everyone credit that shops with us, we can promise that we will go the extra mile to exhaust all options when it comes to finding you the credit you need. Once you get the financing you need, finding the right vehicle to fit your budget is the next thing that should come to mind. Whether you are looking for a car, truck, or SUV, we have an outstanding selection of vehicles priced under 10k that are in excellent condition and are dependable day in and day out. Whether you need more room for your growing family, or you are looking for a more reliable daily commuter, we are here to help. At Karz Plus, we have the vehicles that you are looking for and the prices that you can afford, no matter what your credit score may be. Stop by to learn more today.